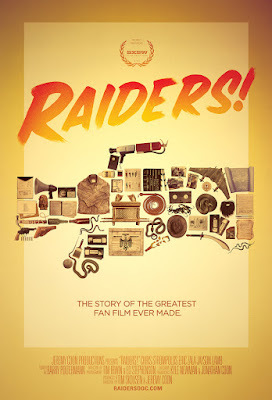 Synopsis: A documentary following two friends as they try to film the one scene missing from their RAIDERS shot-for-shot remake they started as kids. This review originally ran as part of our Dallas International Film Festival coverage. We all have childhood dreams that never come true. Maybe they don't come true because they're too fantastical, like having superpowers, or maybe they don't come true because life gets in the way, and it's easier to let the dreams go instead of fighting for them. But what if you, as an adult, were given the chance to accomplish your childhood dream? Eric Zala and Chris Strompolos are trying to do just that. 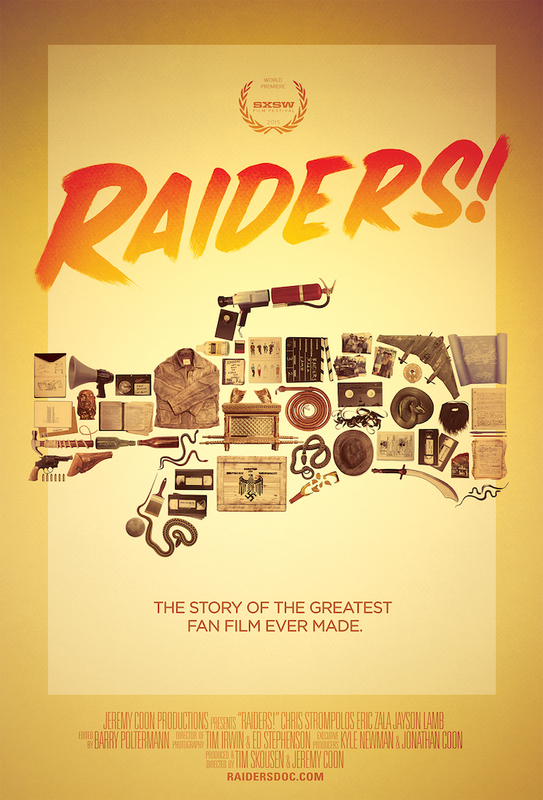 RAIDERS! THE STORY OF THE GREATEST FAN FILM EVER MADE is their story of trying to finish a childhood ambition: create a shot-for-shot remake of RADIERS OF THE LOST ARK. In 1982 when they were 11 years old, Eric and Chris set on a seven year journey recreating RAIDERS during their summers. They roped in their friends as actors and created sets throughout their homes. Like any childhood endeavor, most kids would eventually grow tired of such a thing, but not these two. They planned things when they weren't filming, and because they obviously didn't have the funds, would ask for various props for birthdays or Christmas. Both boys are from divorced homes and used movie making as a sort of refuge from the real world. So every summer, they would escape into the fantasy land of Indiana Jones and movie making. They meticulously create every shot in the film, and their imagination and creativity they have in recreating some scenes is quite impressive. It's very surprising no one died from shooting the car chase or the bar-on-fire sequence based on their film. The film doesn't just tell the history of this film, it also focuses on the boys, now adults, as they try to get funding and film the one scene they never had the capabilities to do when they were younger: the airplane scene. As they begin to find out when the pieces fall into place and they begin recreating the scene, film-making is a lot more difficult than they expected. Dreams are not easy and takes time and sacrifice. Eric especially begins to feel this when the shoot is taking longer than expected, and his boss begins to pressure him to get back to work otherwise he'll be fired. His stress and guilt is something many people can relate to. Is losing your paycheck worth following your dreams? The movie has such heart. If given the opportunity, almost all of us would jump at the chance of achieving the one thing from our past we never were able to achieve. It's very inspiring to watch these two after all of these years come back together and finish this ambitious project they began. The film never feels slow or tedious. They intercut b-roll footage of while they were filming as kids, which gives the film a childlike wonder and excitement. You can see how passionate these boys were, and makes you think about the things you were passionate about as a youngster. This documentary isn't just for movie lovers. It's for everyone who has ever had a dream that they failed on. Because we've all been there. And just because you didn't achieve your childhood dream at a young age, doesn't mean it's too late to give up.